You can tell autumn is here: the British climate might not know what it’s doing (it was bitterly cold up on the moors above the Upper Derwent and Howden Reservoirs yesterday when we went walking to Alport Castles, but it’s meant to be back to about twenty degrees this week in Nottingham), but the Goose Fair has come and gone, and that means autumn is definitely here. You know what else is here? Inferno! Inferno! was around when I was but a teenager, admittedly as a once-every-two-months (see, does bi-monthly mean ‘once every two months’ or ‘twice a month’?) magazine featuring short stories and artwork. This relaunched incarnation of it is a paperback with short stories from current Black Library authors, and the disappointment that I never succeeded in getting a story into it when I was sixteen has been somewhat mitigated by the fact that I feature in the first edition of the new version! My contribution is ‘A Common Ground’, a tale of a Goliath pit fighter on Necromunda who receives an unusual offer from a stranger who may turn out to be even stranger than she originally appears. There are some cracking stories in there apart from my own: I think my favourite might be Nate Crowley‘s, which sees orks and Imperial Guard teaming up against Tyranids in the interests of survival, but there are strong candidates all round. Moving on from Black Library (for the moment), I’ll be at FantasyCon at the Queen Hotel in Chester from 19th-21st October. On Friday night I’ll be running a panel called ‘I Have No Idea What I’m Doing’, which will see me, RJ Barker, Jeannette Ng, Russell Smith and Allanah Hunt talking about our different journeys into becoming authors, and how the whole thing is still pretty confusing… Then after that I’ll be taking part in ‘Dungeons & Disorderly Part 2’, which is basically a live D&D adventure in front of an audience with a giant dice commanded by David Moore, and utter chaos. I’ve never actually played D&D, so this should be interesting! Then on Sunday I’m on a panel about Under-Represented Voices In Genre Fiction. And then, on the 3rd-4th November I’ll be at the Black Library Weekender, appearing on two panels: one on ‘Wanted: Dead’, the Necromunda novella I’ve written, and one about being a Black Library debut author and what to expect next from me (hint: it’s a Warhammer 40,000 novel, but I might actually get to divulge some details! At least I hope so, or my contribution will be very limited…). I’m also doing a signing! 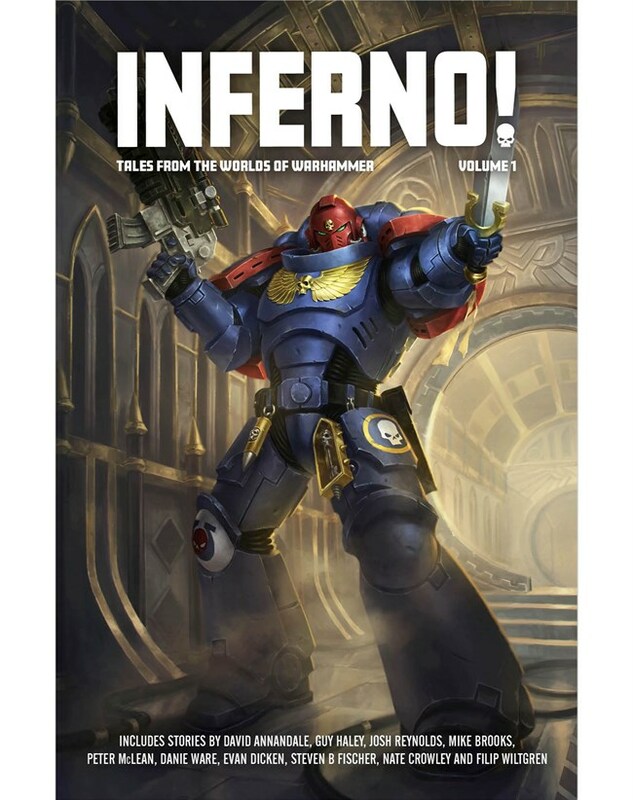 Now, given that nothing I’ve written for Black Library has come out in physical form yet apart from Inferno! Vol. 1, I have a sneaking suspicion that this means that there will be copies of ‘Wanted: Dead’ available for purchase at the weekender itself, given all the edits were signed off a while back and I’m on a panel talking about it… However, I haven’t been told this officially and have heard nothing about release dates for it (I haven’t even seen cover art) so this is purely speculation on my part!